We have just one apartment and a bedroom suite to rent. In order to ensure your peace, solitude and privacy, we only book one party of guests at a time. We are adults only as we don’t think Panokosmos is suitable for children under 16. Rates are quoted per night for the number of persons indicated and include a splendid breakfast. The bedroom suite is only available in the summer (July/August) for a minimum rental period of one week.. 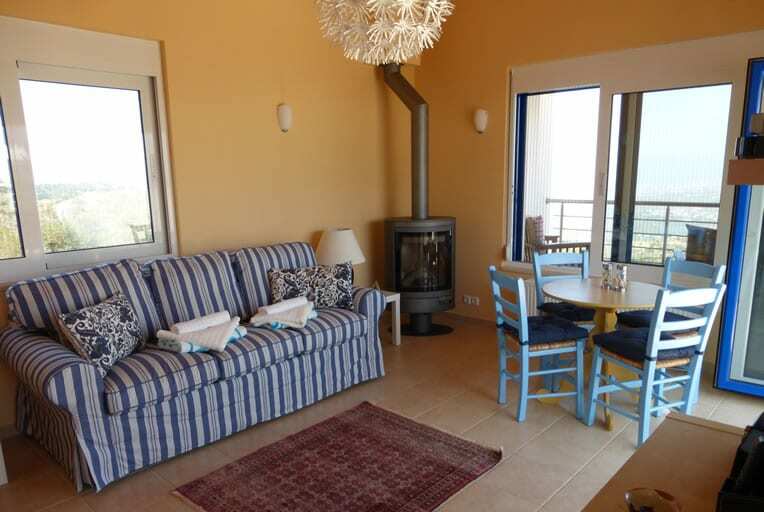 The Rooftop Apartment is available all year round for 3 nights minimum (7 nights in the winter November-February). Facilities: Walk-in wardrobe, ensuite full bathroom. Our room rates for 2019 are quoted in Euros per night with breakfast for the number of persons shown. There are no hidden extras and no surcharges. The prices you pay include, linen, towels and pool towels. Payment is in Euros by bank transfer, we may be able to accept other forms of payment & currencies – please contact us. All options benefit from huge concertina doors to their own terraces with spectacular views. Superior insulation and the cooling mountain breezes mean air-conditioning is rarely needed. We provide splendid breakfasts (included in the room rates), packed lunches for your expeditions, snacks and some meals. Outside there is a 12m pool in extensive private and secluded gardens. 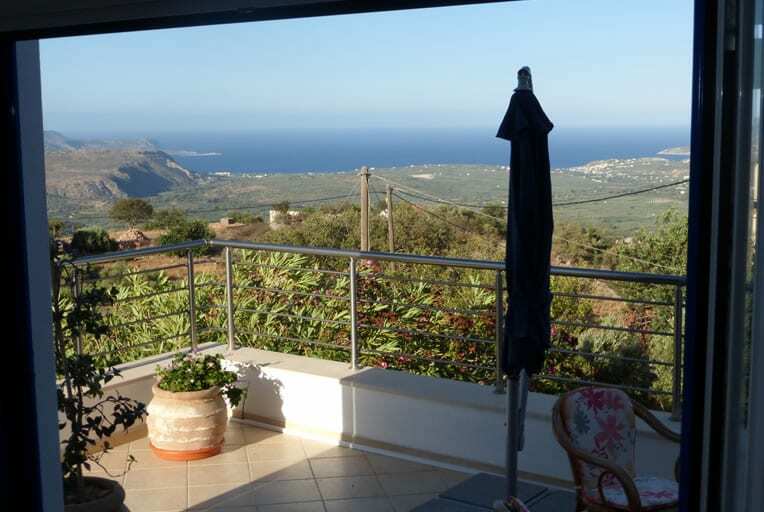 These have shaded areas and hidden corners with panoramic views of the sea, the Apokoronas valley, villages, gorges and mountains. The pool and grounds are for exclusive use of you and your party.